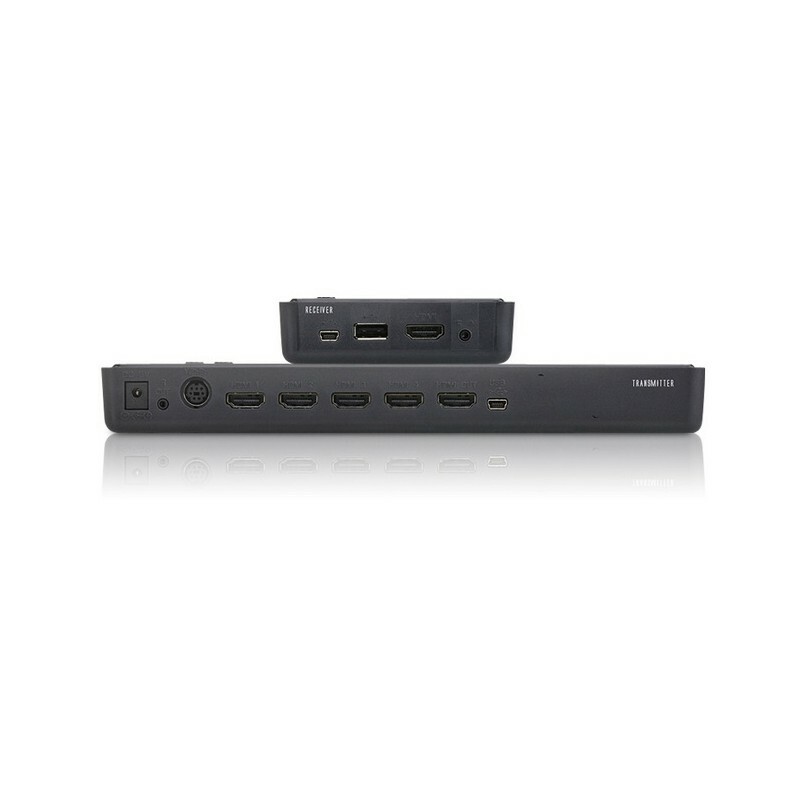 The VE829 5x2 HDMI Wireless Extender is kind to send full uncompressed HD 1080p, while connecting up to 5 source devices and allowing users to switch and independently select any source to display on two HDTVs. 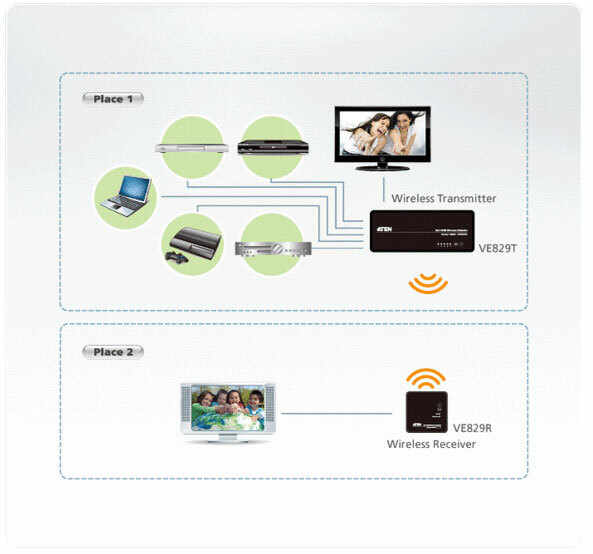 Its wireless matrix feature is the biggest breakthrough in Audio / Video solutions to date. This means you can watch cable TV in one location (transmitter side) and, at the same time, independently select a Blu-ray movie to watch in another location (receiver side). The VE829 is capable of streaming Full HD 1080p with support for 3D content and digital audio up to 30m* away, within the home or any desired setup. 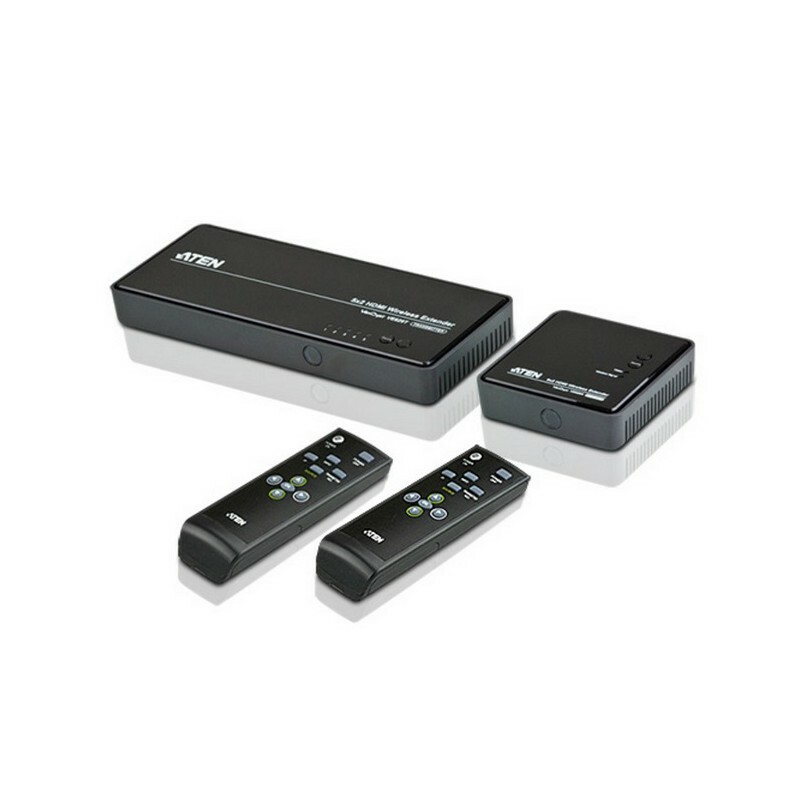 The solution consists of a Wireless Transmitter and a Wireless Receiver with connections for the HDMI and Component, along with a loop through (local port) for advanced two-HDTV setups. It also features USB HID connectivity for adding a computer / laptop to the installment, giving you wireless control from the VE829R. Infrared (IR) pass-through enables wireless control of your source devices and helps consolidate your HD A/V electronics, such as a DVDs / Blu-ray players, DVRs / Cable boxes, Game consoles and computers allowing you to design your own custom entertainment space.